If you want to pursue the career of a flight attendant, you need to tailor your resume to find your place in one of the top airlines in the world. The recruitment process takes place through multiple screens, and you need a solid Flight Attendant Resume to crack the interview. Hence, it is necessary to know the art of making your resume palatable. 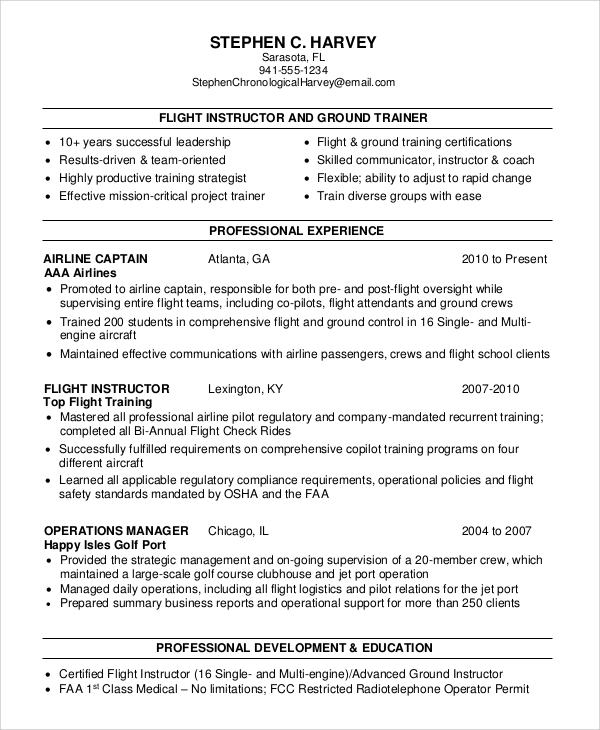 Here are some Sample Resumes for flight attendants that may help in drafting your own. The objective of the resume describes the qualities of the professional in a diplomatic manner. Then the languages, work experiences and other elements of the resume are presented in a formal manner. For an entry-level professional Resume Samples, it is important to make the resume palatable. The profile, highlights, and qualifications are easy to scan. The work experience and additional strengths are summed up in bullet points. The career worksheets are pre-drafted. Hence, you need to fill up the blank areas with your personal information, employment information, certifications and other records. Similarly, you need to tick the right areas of your expertise. 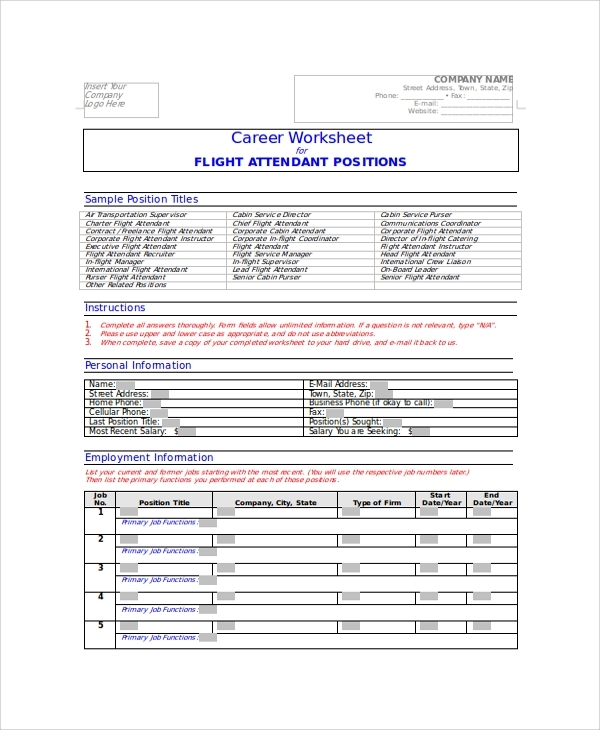 What should you include in a Flight Attendant Resume? Flight attendants need to know at least one foreign languages, so it is recommended that you mention the languages known in the first half of the resume. You need to be specific about the training and certifications. Mention all the courses that you have done and your ability to cater the needs of the company. When you mention the work experience, you can make separate subheads for different aviation companies you have worked for. Make a list of your abilities and duties that you can perform. When you write the Resume Objective Samples, make sure that you mention your goals and reason for joining the company. This resume starts with a short paragraph conveying the crux of the abilities. 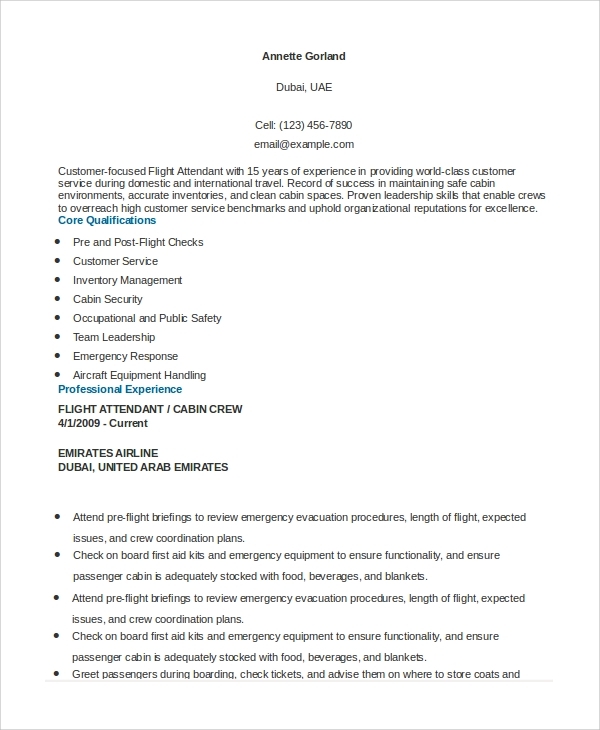 Then the core qualifications, professional experience, and duties performed under different flight companies are mentioned. The languages known to the person are included in the end. While stating the experience, you need to list up all the companies that you have worked for. Under each of the categories, you can write the duties and activities that you used to do. 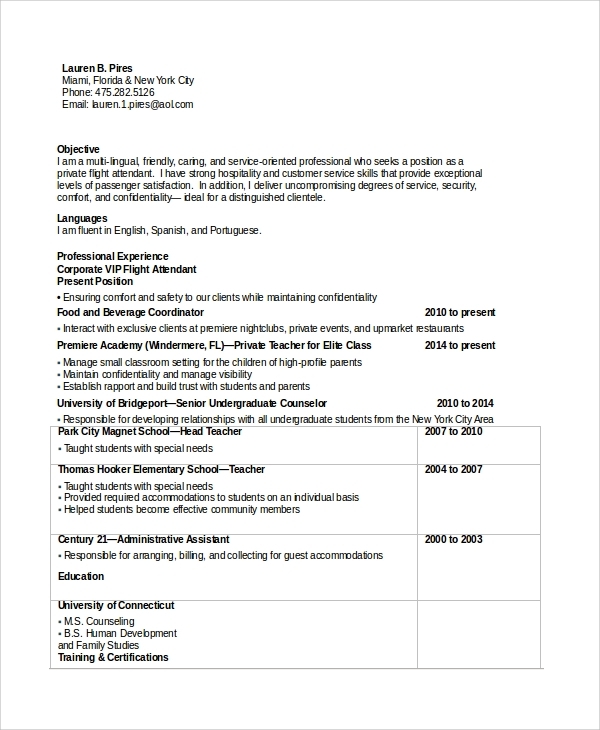 You can also see the Best Sample Resumes / CV. 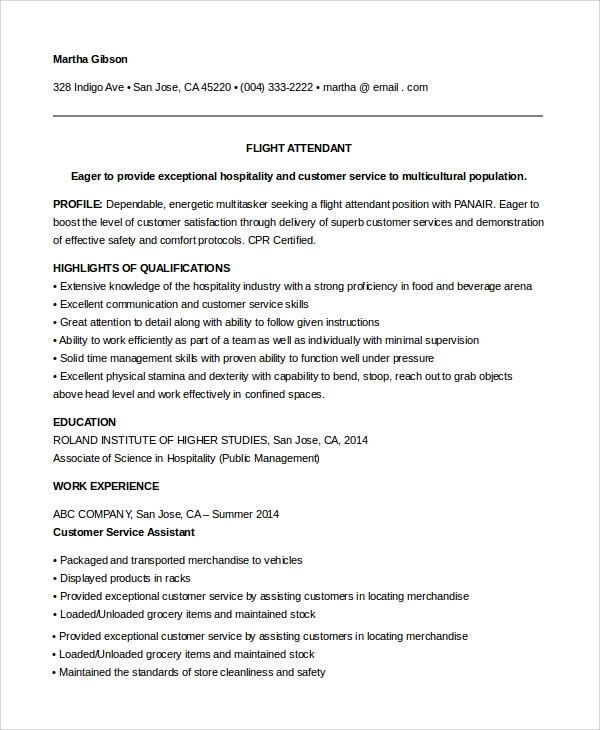 What Qualities should you Include in your Flight Attendant Resume? When you mention the qualities, you also have to include the activities that you are comfortable with. For instance, attending briefings before each of the flights is one of the essential functions of the flight attendants. Similarly, you need to include other duties like assisting in cleaning the cables between back to back flights, arranging the required amounts of refreshment for the passengers and so on. The passengers with special needs require special attention, so you can mention your ability to cater to the requirements of these passengers. You also need to express your knowledge on safety measures during the flight. 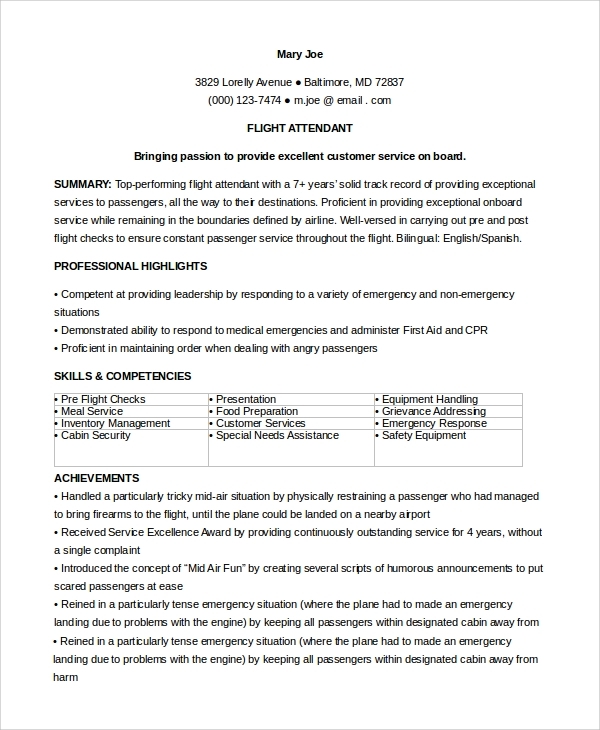 These resumes, along with Flight Attendant Cover Letters, boost up the employment possibilities of deserving candidates. You may also need Resume Format Examples and Sample Work Resumes. You will find all possible variations of these templates in the website and are free to customize them as and when you need.